On Saturday, 22nd October 2016, an audience of over 100 were entertained by the latest movie project from Newry film director Ally McKenzie, the documentary all about Ben entitled ‘The Magic Mod’. 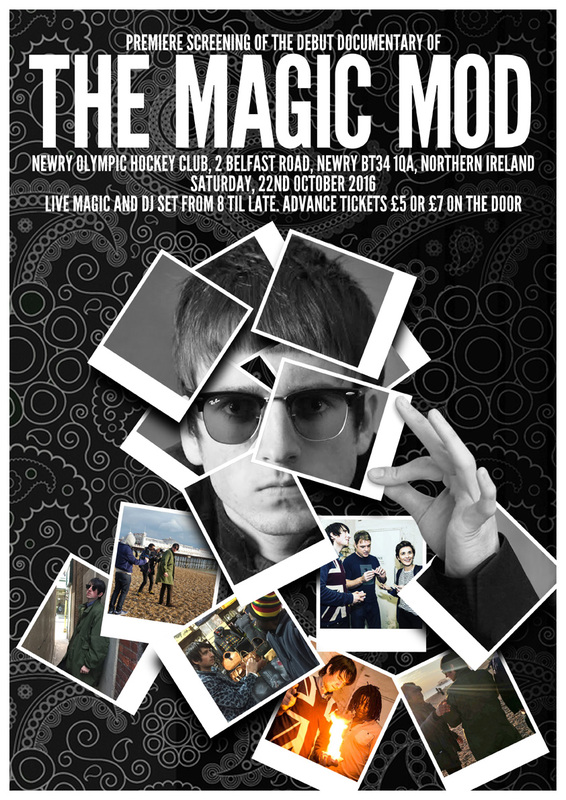 ‘The Magic Mod’ provided the Newry audience a unique opportunity to get close up and personal with the rising star before the movie takes on a UK wide tour including London’s famous 100 Club. The hotly anticipated documentary was well received by the audience with an appearance by The Magic Mod himself, who treated the documentary viewers to a display of his amazing magic skills which have seen him compared to the global magic star Dynamo.